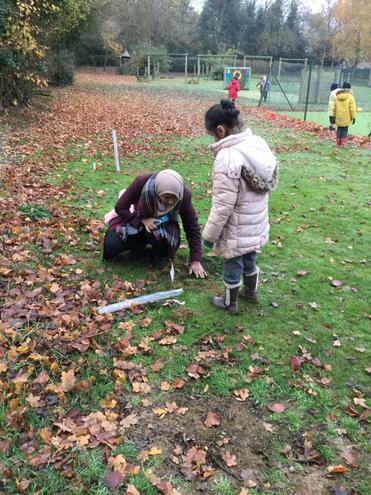 We had a lovely afternoon on Friday 23rd November, when as a whole school we went out into the field to plant the trees we had been awarded by the Woodland Trust. 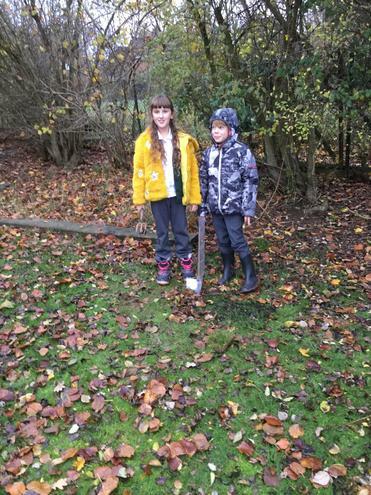 We had thirty trees, ten each of cherry, rowan and silver birch. 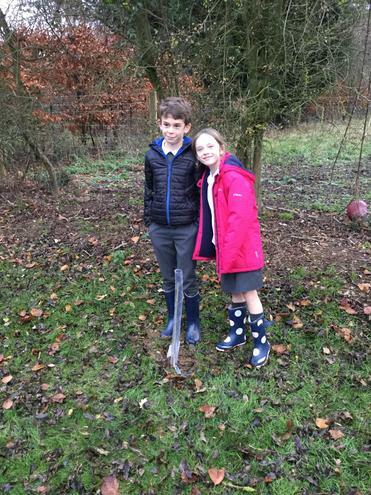 Each class had their own tree and then families had had the opportunity to sponsor a tree - with all our trees being sponsored! 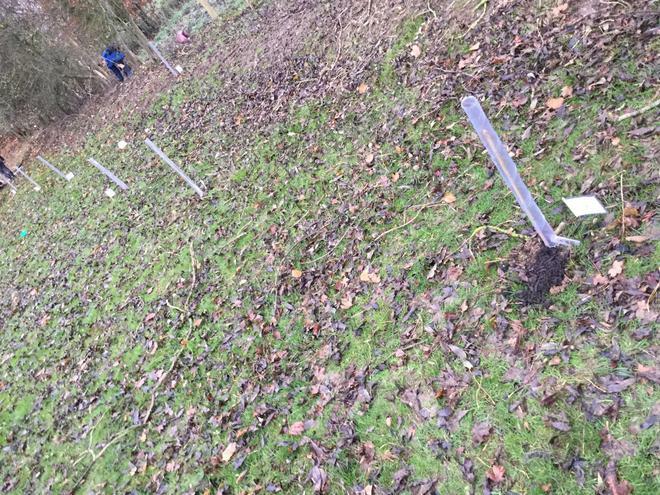 Each tree has a little plaque or label to identify its sponsor. 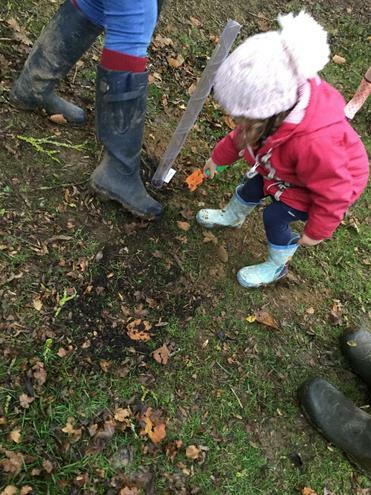 We invited mums and dads in to join us, supporting and helping with the planting and then we all went inside where the PSA provided us all with hot chocolate and a biscuit - just what we needed to warm up on a chilly afternoon.